The collecting of things has always been a part of the human condition. They help keep memories of a period in our lives, or moment, alive. When it comes to motorsports, one of the thing I realized I've been collecting over the years is racing gloves. While I don't have an unreasonable amount of them, I certainly have more than I need. It's likely I will near wear all of them, but I'll never be able to bring myself to part with them. 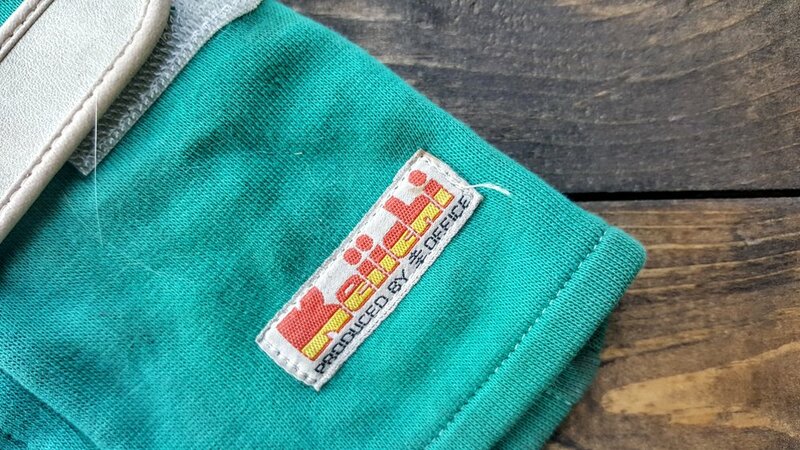 For Japanese drifting there is probably none more iconic than the original Kei Office gloves in green. These were my first pair, which I bought from a small tuning shop outside of Hiroshima called RiO. This was in the mid-to-late 90s and I used to bring my S13 there to get work done. Occasionally I ran across Nobuteru Taniguchi back when he was a member of Afterfire and before he started showing up in Option videos. Then, he was just the quiet Hachi driver Back then he was just the quiet Hachi driver no one could catch at Imose. When I bought this first pair, I wasn't actually drifting yet. I was still only grip driving at touge (mountain pass) courses like Imose and Matsuo. Imose is a very famous course and you can see Taniguchi running it in older Option VHS. However, it's really tight and has never been popular for drifting. In contrast, Matsuo was pretty big and smooth and, as a result, very popular with the drifters. I spent every Friday and Saturday night (and occasional week nights) running grip at Matsuo and watching the drifters do it sideways. Eventually, gripping became drifting going uphill, which was fairly slow and safe. Then, before I knew it, I was linking big sections of the course going downhill at questionable rates of speed. It was actually years before I found myself on a circuit. The second pair of gloves I bought were also original Kei Office, but in red. If my memory serves I picked these up at either an Autobacs or Yellow Hat for around 5,000 yen. However, I rarely wore them because I preferred the green pair. Most of my motivation for buying them was in the hope I would run across Yasuyuki Kazama so I could get him to sign them. I'd seen him wear them while driving the Kei Office S15 in D1 Grand Prix. I did actually get to meet Kazama when I attended one of his drift schools. Ironically, I forgot to bring the gloves. 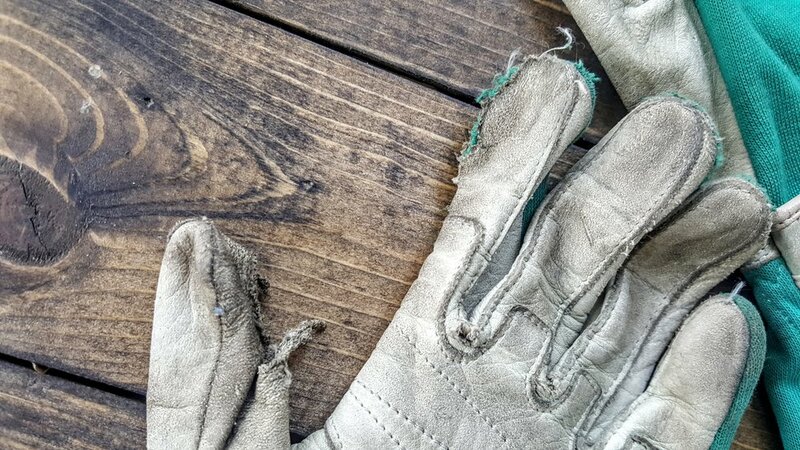 As much as I wanted to keep my original green Kei Office gloves in mint condition, I inevitably wore holes in them because I left them on when changing tires or fixing things at the track. So a few years ago I had to retire them. Lately, I've been using these K1-Planning gloves. 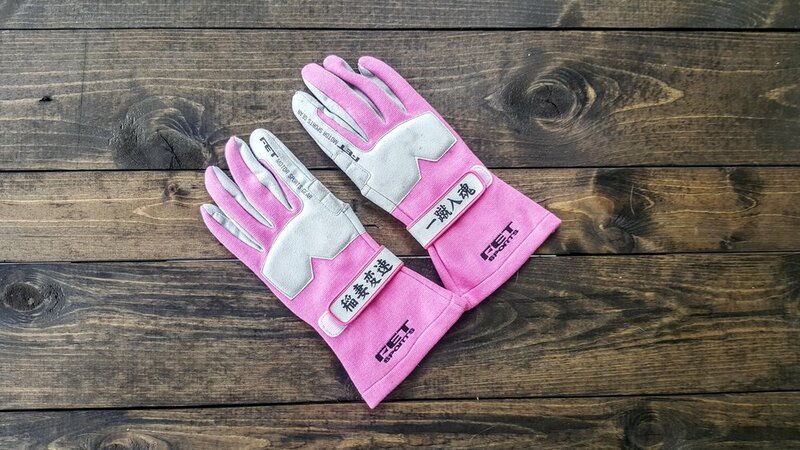 Also from Keiichi Tsuchiya, they have been out of production for a few years and these were one of the last pairs he had left. I was hoping for a green pair, but I settled for blue. I was tempted to just switch to the red original Kei Office, but they're in nice shape and I didn't want to ruin them. 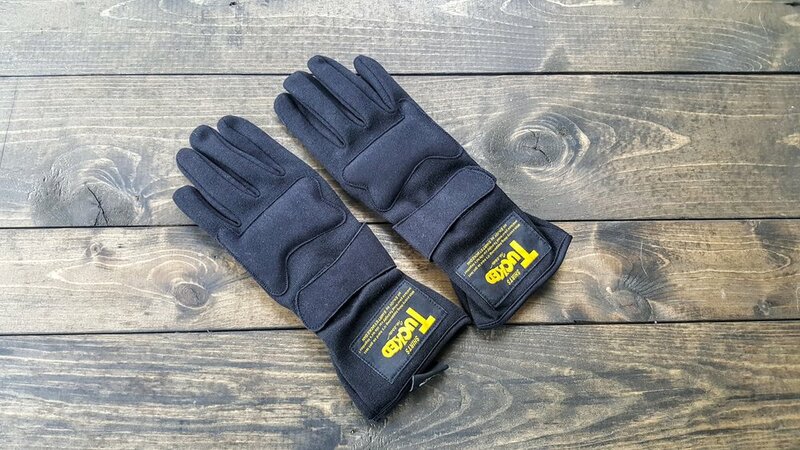 I recently picked up an RX-8 to run in HPDE and may just use these K1-Planning gloves for grip only and use one of the other pairs of gloves I have for drifting.